The Southern Resident orca who caught national attention for carrying the corpse of her calf for at least 17 days has finally learned the painful art of letting go. 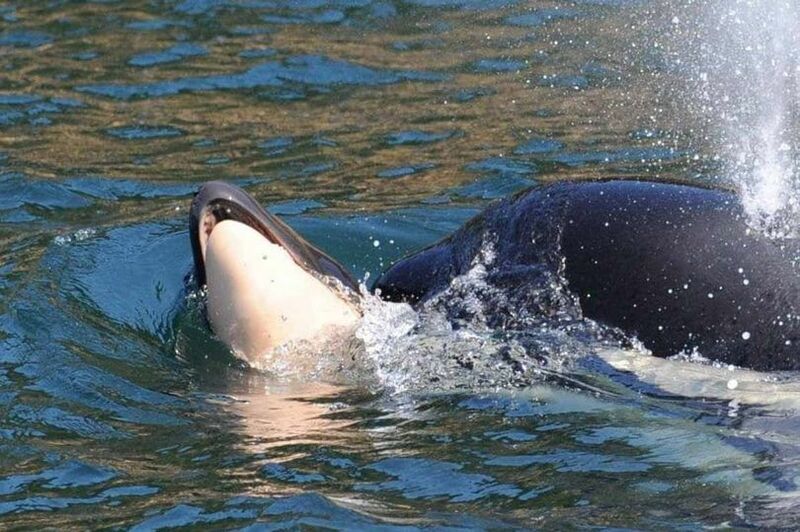 After weeks of mourning, the orca has released her beloved calf. Ken Balcomb, executive director of the Center for Whale Research, spotted orca J35 with her pod off San Juan Island on Saturday. He said J35 even frolicked past his window. Researchers had been worrying about J35 fearing that the she was not eating properly and exerting too much energy pushing the corpse of her dead offspring. She was last spotted with her dead calf Wednesday. Intervention was ruled out as NOAA wildlife biologists said the idea of separating the pair was never considered. J35, a 20-year-old orca, carried her calf more than 1,000 miles. Whale experts say it’s not unusual for orcas to mourn their offspring. They have seen it before. But J35 clung to her calf for an unusually long period of time. Many have expressed sympathy and concern for J35, with artists even creating their own interpretation of the unusual yet poignant development hoping to call more attention to the endangered orca. Others thought that J35 has a “message” for us, humans, by carrying her dead calf that long. Researchers have also been tending to ailing orca J50, a 3½-year-old whale who has lost 20 percent of her body mass and developed a depression near the base of her skull. Crews had to inject J50 with antibiotics on Thursday. Balcomb also spotted J50 with her mother and brother on Saturday, along with NOAA researchers who were following her to collect prey remains and feces. Those who have been closely monitoring through news the development to the J35 saga expressed joy and relief that she finally let go of her calf. 17 days what a coinsidence, the other one got meds so far doing bit better.